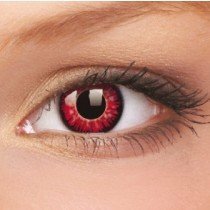 Vampire Coloured Contact Lenses are ideal for achieving a truly bloodthirsty vampire Halloween fancy dress costume, because they will supply your eyes with a vampiric appearance, which is akin to that of a vampire! 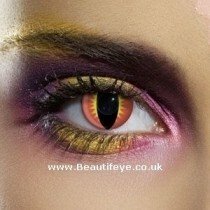 Sink your fangs into these great value for money coloured contact lenses! The coloured contact lenses in this category last for 1 month to 1 year once opened, which means you can wear them as many times as you like- making them great value for money! Take a look at our Halloween Coloured Contact Lenses for more of our crazy coloured contact lenses- which are ideal for Halloween and other fancy dress occasions!